Dwight Clark Autographed Photo with Special Inscription #270R | Sports Memorabilia! 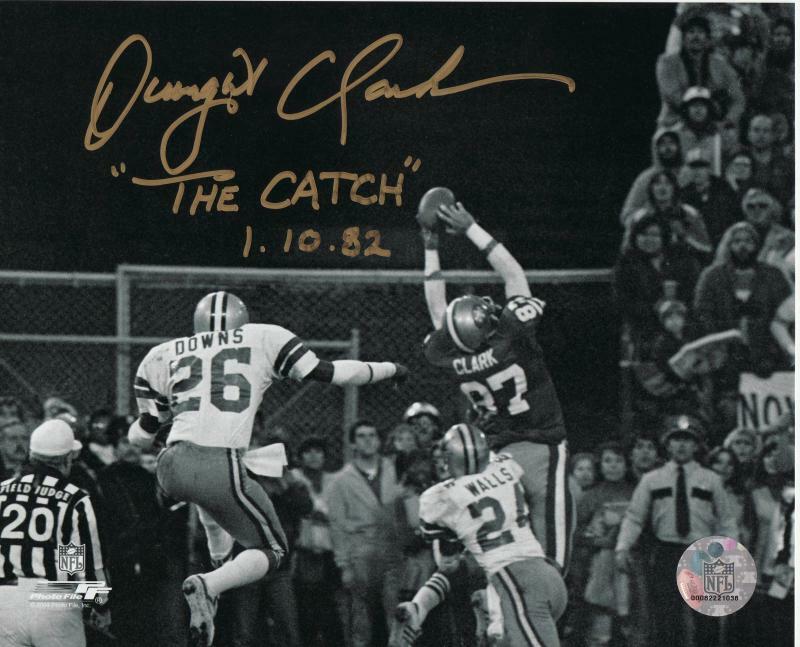 This is a great looking 8x10 photo of "The Catch" made by Dwight Clark against the Cowboys in the NFC Championship game in 1982. 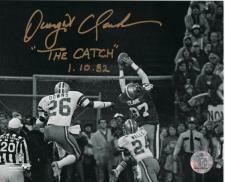 Signed in gold, Dwight added the special inscription "The Catch 1.10.82". 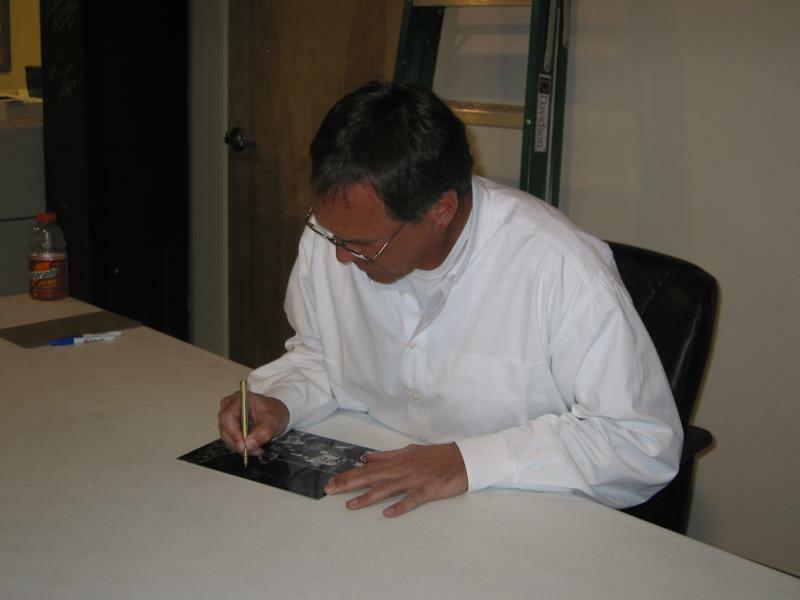 Dwight Clark passed away on June 4, 2018 and he was represented by us for over 25 years. These photos are limited in stock. Each photo comes with Dwight Clark's personal hologram and NSD's numbered hologram and matching numbered Certificate of Authenticity.